Mumbai Indians' Hardik Pandya Wednesday termed the last seven months the toughest of his life "when I didn't know what to do", and dedicated the award-winning performance in the IPL to those who stood by him. 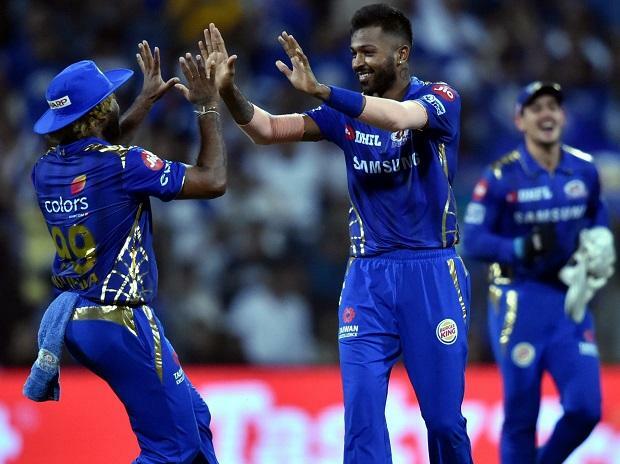 Pandya smashed an eight-ball 25 and then picked up three wickets to power MI to a 37-run win over Chennai Super Kings here. "It feels pretty good to help the team to win and contribute. It's been seven months that I've hardly played games. They weren't easy and I didn't know what to do. I've just batted and batted. I want to improve my game every day. It's a fantastic feeling batting like that and making your team win." The India all-rounder got embroiled in a controversy after his outrage-evoking comments on women in a chat show earlier this year. But he has overcome that now. "I was out with injury and then some other controversy happened. I want to dedicate this Man of the Match to my family and friends, who stood with me in the toughest times. "Now my only focus is to play IPL and make sure India wins the World Cup," Hardik said at the post-match presentation ceremony. "We started well, were right on the mark for the first 10-12 overs. Then, a few catches were dropped, a few misfields, the death over bowling wasn't great. We don't have bowlers who hit the deck, it was slightly tough on them." "We do have one-on-one plans, we needed to know where we could cut-off the boundaries, which batsmen to target, a boundary less or two could have made a difference to a 10-12 run over or a 7-run over. We needed to build some momentum, but we need to know when to plan for those. "It is a tough thing - this so-called momentum, it doesn't really matter, a good start from the bowlers will make things tight, once you set the tone, the game goes along in that flow. "Bravo has an hamstring injury, we don't have a few players, we already have some injuries, David Willey isn't there, he has his own problems, Lungi Ngidi isn't with us as well, we will have to look at the pitch and then decide on the right combination," the former India skipper added. "We don't want the headache of winning every game at the back-end of the tournament. It becomes very tough. I thought 170 was a fighting total because there was something in the pitch. Kieron Pollard called Hardik "phenomenal" and explained his role in the current setup. "The Pandya boys have been batting well, so being the more experienced guy I have to take the initiative and try to do well whenever I come in. "(Why are you not bowling?) That's a question you'll have to ask the skipper. I think as a team we strive on momentum. "(Hardik) is phenomenal. For us it's just about encouraging him and giving him that opportunity. He practices like that," Pollard said.